It's frustrating when you get an error after sending an email message. This topic describes what you can do if you see error code 550 5.7.133 in a non-delivery report also known as an NDR, bounce message, delivery status notification, or DSN). You'll see this automated notification when the recipient is a group that's configured to reject messages from external senders (senders from outside the organization). I got this bounce message. How do fix it? I'm the group owner or email admin. How do I fix this? Only the group owner or an email admin in the recipient's organization can fix this issue. Contact the group owner or email admin and refer them to this information so they can try to resolve the issue for you. The two methods that will allow an external sender to send messages to the distribution group in your organization are described in the following sections. 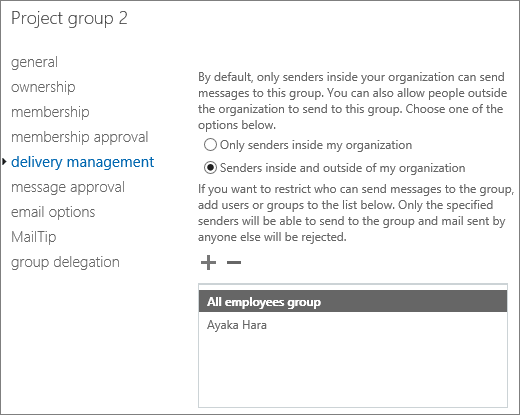 Instead of allowing all external senders to send messages to this group, you can use the group's allowed senders list to selectively allow messages from all internal senders and the specified external senders. 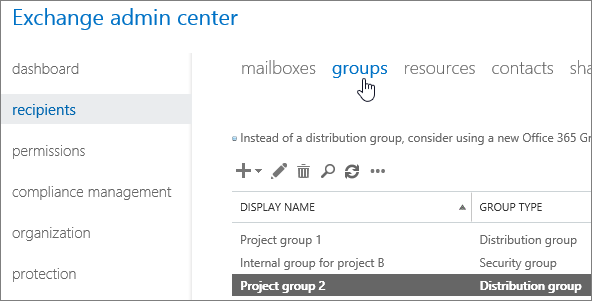 To add everyone in your organization to a group's allowed sender's list, you can create a distribution group or a dynamic distribution group that contains everyone in your organization. After you create this group, you can add it to the group's allowed senders list. 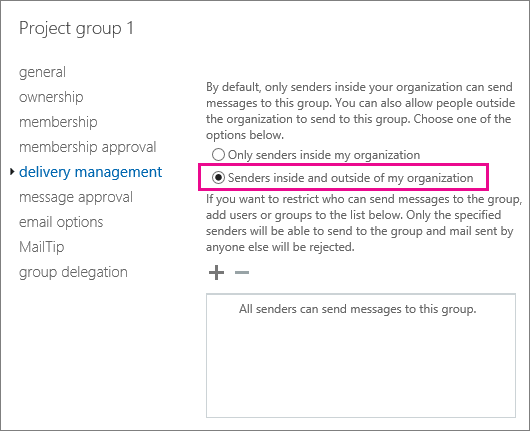 The group's allowed senders list is completely different from the organization's allowed senders list for anti-spam that you manage in the EAC at Protection > Spam filter. Still need help with error code 550 5.7.133?